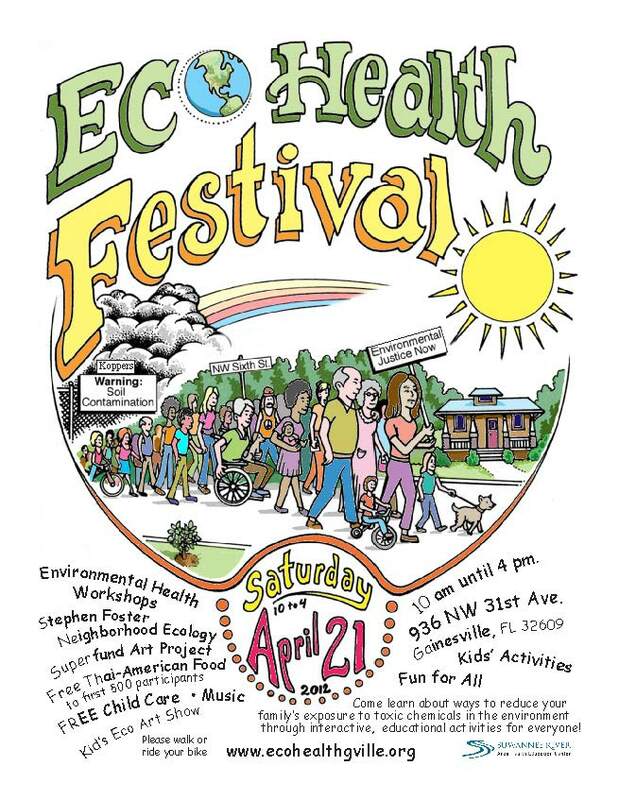 The Eco-Health Festival is a place for everyone in the Stephen Foster neighborhood and greater Gainesville community to come together and learn more about and discuss the issues surrounding the Koppers Superfund site. 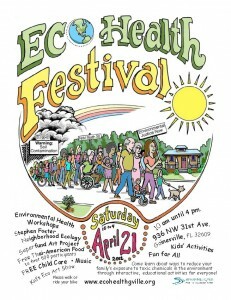 The festival will take place at the Agape Faith Center (936 NW 31st Ave. in Gainesville) on Saturday, April 21, from 10a.m. to 4p.m., and will include live music, games and entertainment for kids, as well as a long list of speakers. Art from the Superfund Art Project and Kid’s Eco-Art Show will be on display, and the first 500 people to arrive at the festival will receive free food from Thai American Foods. The goal of the festival is to teach people skills and provide expert knowledge so that residents in the Stephen Foster neighborhood have more options to protect their health. Participants can learn more about the chemicals from Koppers and how to avoid contact with them. Taking common-sense precautions can make a difference. The Koppers Superfund site is located near our homes in the Stephen Foster neighborhood of Gainesville. For almost 100 years, Koppers produced treated lumber for different purposes, but the chemicals used to make that treated lumber are toxic pesticides that are poisonous to wood-eating organisms, as well as animals and humans. Koppers dumped these chemicals on the ground and in holding ponds on the site, leaving the pesticides to seep into the groundwater and pollute Springstead Creek. Because most of the Koppers site is bare, with no grass covering the dirt, the wind has carried pesticide-contaminated dust into nearby yards and possibly into people’s homes. The Florida Department of Health has told some residents in our neighborhood to stop gardening and to keep children from playing in contaminated dirt.